Our books all aim at expanding consciousness and freeing the human spirit from limiting conditioning and beliefs. Each explores the human condition and offers different approaches to personal and social evolution. The Passionate Mind’s primary focus is delving into one’s inner world. The Guru Papers and The Passionate Mind Revisited change and deepen the inner inquiry by incorporating genetic and other conditioning related to worldviews, morality, and culture. 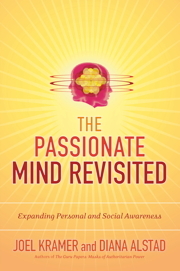 The Passionate Mind takes readers on a journey of discovery into the workings of the mind. These early talks by Joel draw one into self-exploration as a living inner inquiry that can be done alone or in relationship. To this day people tell us the book has been a life-changing touchstone for them. It contains many elements that our later books develop further. It was partly through Krishnamurti that Joel realized our human capacity for self-reflexivity can be used to see how thought filters and biases perception. Mental filters affect emotions and shape experiences. Seeing the mind’s mechanical aspects can bring a shift of awareness that alters the experiencing process. Breaking out of thought’s limitations and subjective filters allows one to freshly meet the new. Exposing the dynamics of manipulation and how cultural factors cage the mind is a doorway to freeing the mind. 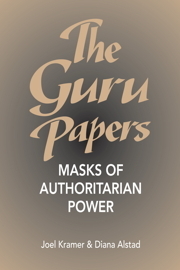 The Guru Papers shows why people give up their power and how others take it. The book deciphers how people are conditioned by external influences and by belief systems that contain disguised authoritarianism. Chapters depicting the insidious nature of authoritarianism in oneself and in daily life suggest new approaches to resolving or alleviating difficulties with inner conflict, addiction, and intimacy. Part 2, “Ideological Masks,” examines how power is taken and maintained by controlling minds and why people are susceptible to manipulation. Beneath the visible authoritarianism in politics, social structures, and personalities is a far more pervasive, covert mental authoritarianism; it’s hidden in morality, worldviews, and traditional spiritual frameworks. This age-old “social virus” has been part of the structural weave holding societies together. It’s still a prevalent means of social control surreptitiously interwoven and concealed in many aspects of life. Basic problems, both personal and global, are tied to authoritarian beliefs so entrenched they are taken for granted. Becoming conscious of how an authoritarian “virus” lives in us helps to disempower it, freeing untapped potential. Authoritarianism is a real obstacle to meeting rapidly escalating challenges because it blocks information and necessary changes. Awareness of the veiled authoritarian underpinnings of much social and self-control can unleash the intelligence and creativity urgently needed for these times. When people take back their power, it opens new realms of possibility and more grounds for hope. 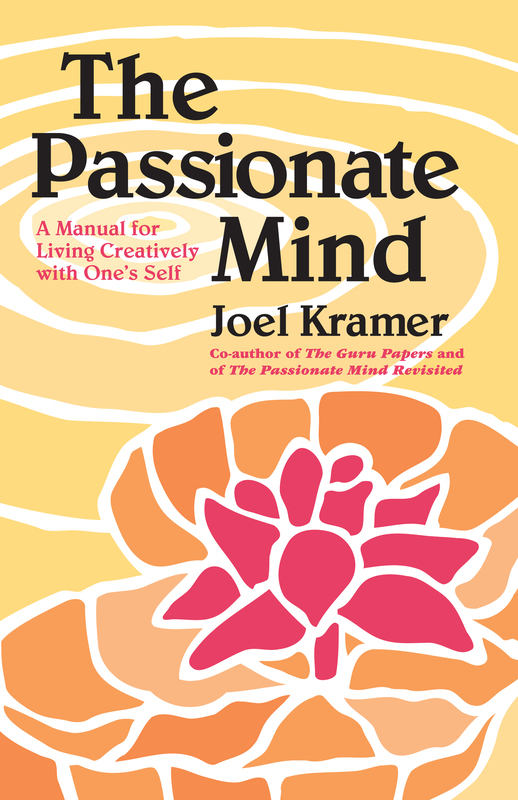 The Passionate Mind Revisited is a total re-visioning of Joel’s original book thirty-five years later from different contemporary vantage points, deepening awareness of ourselves and the human condition. While The Passionate Mind focuses on how thought, belief, fear, and desire can condition and limit us, the new coauthored book includes their evolutionary functions as well as drawbacks. Incorporating new findings about the brain and our nature as a self-reflective, thinking, talking social species broadens the inquiry. Understanding better what in our complex makeup brought humanity to its perilous situation and where our potential lies can help reveal the nature of our challenges and how to meet them. The new book also extends the inquiry from the personal to social arenas, worldviews, global concerns, and evolution. Humanity’s problems stem partially from deep-seated social conditioning and limiting beliefs. Worldviews are primary lenses influencing perception that underlie beliefs, values, identities, and much behavior. They affect the nature of the social fabric and how we treat each other and our planet. Dysfunctional worldviews based on dogma, outdated beliefs, or magical thinking are serious obstacles to creating a more humane and viable world. “Otherworldly” spirituality needs to be reframed to focus on this world and this lifetime. Traditional spiritual worldviews generally don’t address the quandaries of power, gender, genes, and socio-political realities. Bringing spirituality down to Earth by connecting andtaking into account these arenas that are typically kept separate creates a more inclusive, realistic, and relevant worldview. This better captures where we humans find ourselves and supports us by promoting social evolution—a key to thriving and surviving. * This “Map” of The Passionate Mind Revisited is also in the e-book. We invite you on a liberating journey of discovery that can change the way you view yourself and the world. Exploring new ways of looking at who we humans are and how we work can enrich our lives and reveal different approaches to personal and social challenges. 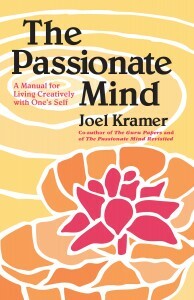 Joel’s 1974 book The Passionate Mind: A Manual for Living Creatively with One’s Self illuminates the workings of thought, igniting an awareness that can move one beyond thought’s mechanical aspects. What began as a modest plan to revise the book to reflect changes in us and in our worldview turned into a much broader endeavor connecting the personal, mental, genetic, and social. This changes the nature of the original inner inquiry and expands it to include societal and global concerns. We view humanity’s current predicament as a function of its adolescence, not its essence. Many traits that made humanity dominant are now threatening to destroy us. Thus evolving socially is not only humanity’s best hope—it’s imperative. Examining our complex dual nature—altruistic/self-centered, caring/indifferent, cooperative/competitive, benevolent/aggressive—illuminates our obstacles and potentials. Unlike biological evolution, social evolution can occur quickly through changes in consciousness. Humanity’s evolutionary challenge requires questioning the worldviews, values, and identities underlying our precarious situation. Examining deep-seated and subjective beliefs is vital for unleashing creativity. We believe the perspectives in this book reflect the human condition and the world’s complexity better than traditional spiritual worldviews or reductionist scientific materialism, thus enabling one to better handle rapidly changing realities. Our book is designed to let you either follow its continuity or go where your interests take you. Each section can largely stand on its own; the “Map of the Book” is useful for finding the parts that draw you. We wish you a rewarding journey that opens doors to hope and possibility. *The e-book’s new “Invitation” & “Map” will be also included in the book’s 2nd printing. Until then, we hope readers of the book will find them on our website.